California officials are suing the Federal Motor Carrier Safety Administration over the agency’s determination that federal rest-break laws pre-empt California’s separate meal-and-rest-break requirements. California Labor Commissioner Julie Su and state Attorney General Xavier Becerra filed suit in the U.S. Court of Appeals for the Ninth Circuit on Feb. 6 asking for FMCSA’s decision to be reversed. The petitioners claim they are adversely affected by the agency’s decision. Furthermore, the lawsuit document maintains that the state’s Labor Commissioner is the person authorized to enforce standards surrounding meal-and-rest-break laws. FMCSA announced its decision on the meal-and-rest-break rules Dec. 21 in response to petitions submitted by industry representatives, including American Trucking Associations and the Specialized Carriers and Rigging Association. California law required employers to provide a “duty-free” 30-minute meal break for employees who work more than five hours a day, as well as a second duty-free, 30-minute meal break for those who work more than 10 hours a day, which differs from federal rest-break law. 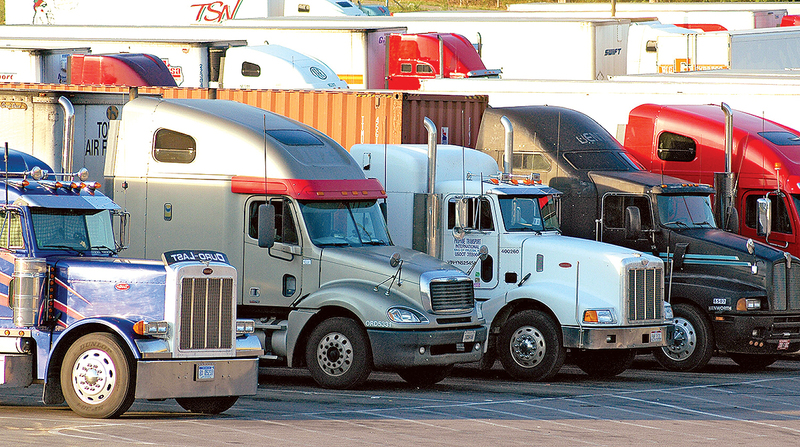 After a 30-day comment period, which resulted in 700 public remarks, FMCSA determined that California’s rules are burdensome to drivers and decrease productivity. Martinez said a hypothetical situation in which each state created a “patchwork” with different sets of meal-and-rest-break rules would be inordinately complicated. Becerra and Su join the International Brotherhood of Teamsters’ Local 2785 group and Everardo Luna, a driver represented by the group, who filed suit in the U.S. Court of Appeals for the Ninth Circuit on Dec. 28, asking for FMCSA’s decision to be reversed. The Local 2785 chapter encompasses Teamsters in San Francisco and San Mateo counties. ATA petitioned FMCSA in late September to determine whether California’s rules are pre-empted under federal regulations. Both Su and Becerra wrote letters to Martinez in October 2018 expressing opposition to ATA’s petition. Prior to the petition, ATA conducted a four-year legislative push to include language establishing such uniformity in the FAA Reauthorization Act of 2018. The act was signed into law Oct. 5 and did not include the language. Certain industry groups, including the American Moving and Storage Association, have applauded FMCSA’s decision. California Trucking Association CEO Shawn Yadon commended the agency, echoing Martinez’s admonitions against a patchwork system of different rules between states.